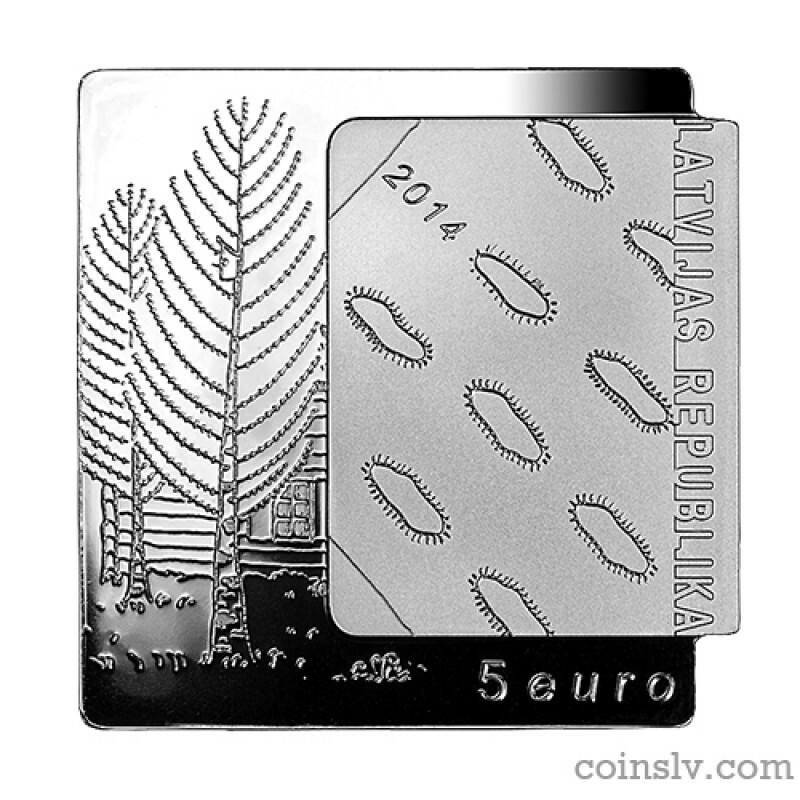 Latvia 5 euro 2014 "The White Book"
Obverse: The coin's obverse features an image of the cover of Jaunsudrabiņš' White Book adorned with floating clouds. The inscription LATVIJAS REPUBLIKA is running down from the top along its right side, and the year 2014 is placed slantwise on the left. The square background features contours of a birch-tree-enclosed homestead, an illustration from the book. 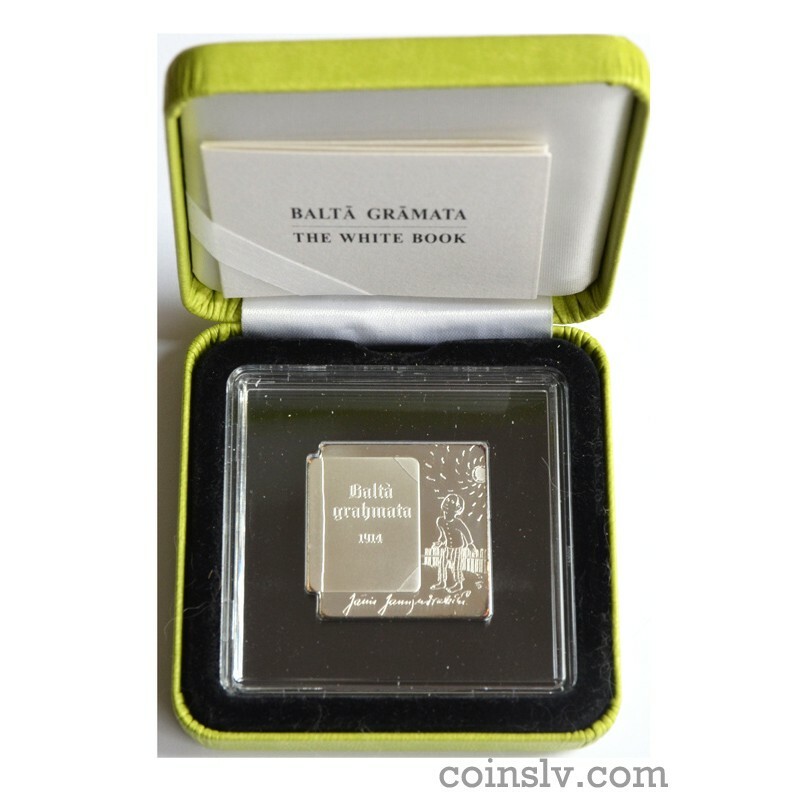 The inscription "5 euro" is placed at the bottom right. 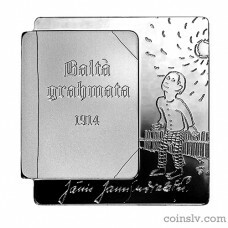 Reverse: The reverse features an image of the book's cover with the title Baltā grāmata (The White Book) in Gothic lettering and the year 1914. The square background bears an image of a small boy and the Sun shining on him, an illustration from the book. Facsimile signature of Jānis Jaunsudrabiņš is placed at the bottom.